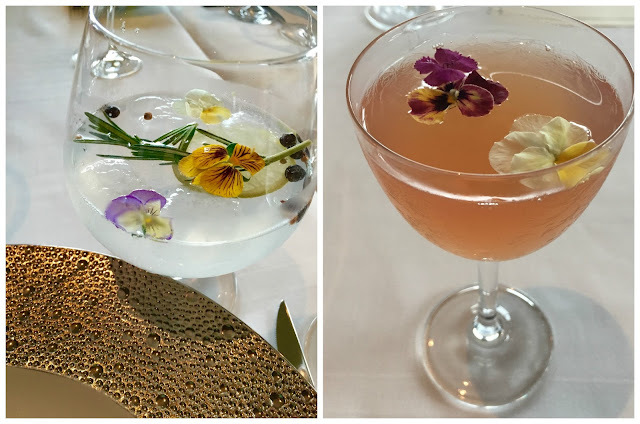 I experienced a sneak peek of the Taste of Bull & Bear along with an intimate group of fellow travel, wine and food bloggers. I am blessed to have had the opportunity to attend events like this before, but this particular night stood out above the rest. The Taste of Bull & Bear is an impressive five-course menu with mind blowing food and perfect wine pairings. The food, wine, cocktails and entertainment were top notch. I am still showing off photos to anyone who cares to listen to my humble bragging nearly a week later. You guys.....I cannot even put into words what this espresso cup full of perfection tasted like. Imagine a rich, velvety potato soup with truffle. I went cross-eyed and asked if it were legal to marry soup - because I would do so on the spot. I am still dreaming about my soup fling on the side and I don't think my husband would be jealous of me bringing it home. The soup love of my life was served with Jaffrus Viognier from Santa Maria Valley. It was a nice crisp white wine that worked well with the truffle. Bull and Bear has a jaw dropping hand crafted cocktail menu and they took mixology to a whole new level. The two drinks we sampled were the New World Gin and Tonic - St. Augustine Gin, Tonic Ice and Edible Flowers. They freeze their tonic and use this instead of ice cubes, so the drink will not get diluted. It was one of the prettiest cocktails I have seen and quite refreshing. The other cocktail was the French Garden - Ketel One Vodka, Absentroux, Falernum homemade Grenadine, Dash of Orange Water. It is very rare that I will consume all of a salad dish at a five-course dinner. This was an exception. 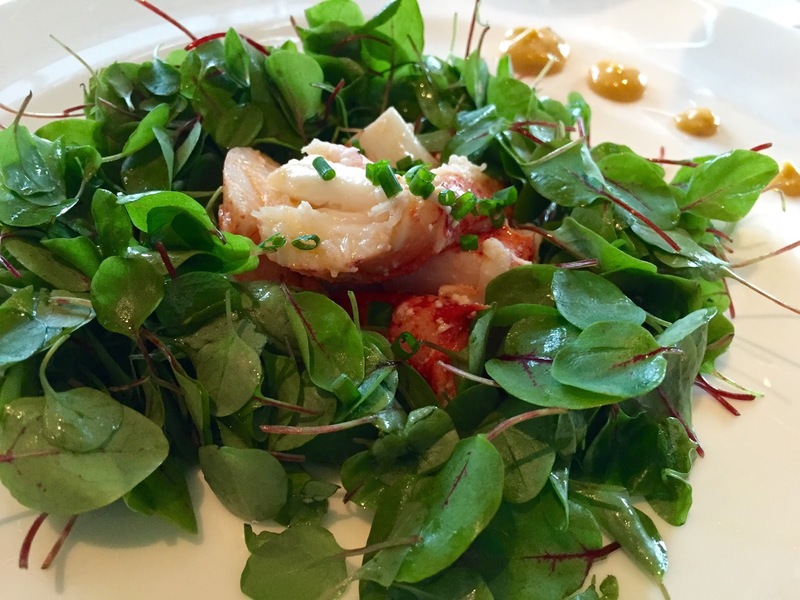 The Maine Lobster Salad was in my eyes the perfect salad. Micro greens and Lobster - you cannot go wrong. The lobster was perfectly prepared and was served with a glass of Elk Cove Pinot Gris from Wilmette Valley. I have really been into Pinot Gris this summer and this particular bottle is one of the best I have tried to date. During our meal, we experienced live a live artist, Edson Campos create a chalk masterpiece in front of our eyes. It was incredible as you watched his progress. Edson recently had a showcase on Disney Boardwalk and is known throughout Orlando. I typically shy away from Chilean Sea Bass - it is purely a texture thing for me. However at events such as these, I am sure to try everything placed in front of me and boy am I glad I did so with this dish. This particular Chilean Sea Bass was so buttery that I did not have a single issue with the texture. It was perfectly cooked and very innovative. The green lines on top are spinach, under that is tomato and a mushroom duxelle. I couldn't stop eating this dish, which is a first ever for me when it comes to Chilean Sea Bass. Plus one of my favorite wines were served along with it, Somona-Cutrer Chardonnay from Russian River. I instantly took a photo of both to send to my best friend, bragging that I was consuming two of her favorite things. My husband and I have been to Bull and Bear once before and had a steak. He still talks about it being the best steak in Orlando, 7 months later. 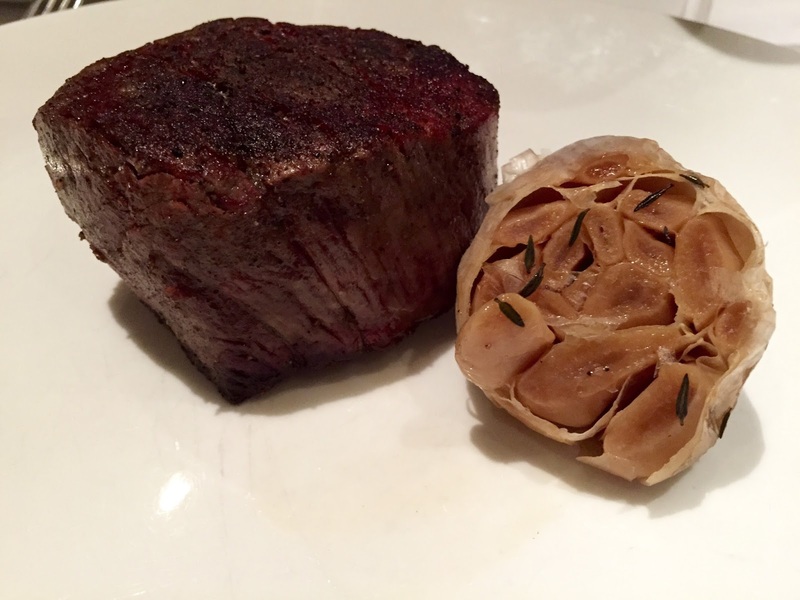 My expectations for this filet were high and I can gladly say, they were exceeded. The steak was perfectly cooked and had incredible flavor. The most innovative part of this dish was the beef tallow candle wax, poured on the plate to dip your beef into. Moving onto the wine, which was my favorite of the night - 1000 Stories Red Zinfandel from Mendocino County. This small batched wine is from bourbon barrels. I fell in love and made a point to buy a bottle for our upcoming cruise. You can only find this at World Market and I ended up buying not one, but four bottles this weekend. 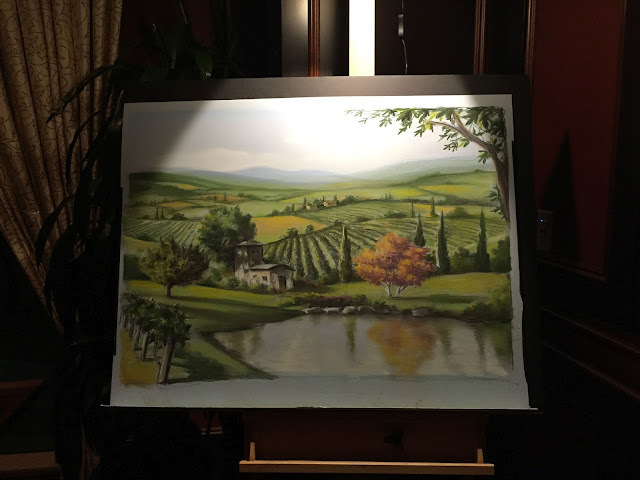 Edson Campos's Tuscan scene brought me right back to Italy. I think I literally have that exact photograph on my memory card! I don't have a photo of this amazing dessert as I got it on video. The video doesn't show off the true magic of the dessert so I am leaving it out of the post (however, you can see it on my Instagram by clicking here). It was a chocolate dome surrounding lemon and berries Pavlova, Tahitian Vanilla Ice Cream and Meringue. Delicious!!! This was served with a glass of Alvear Solera, Pedro Ximenez, Spain. The perfect nightcap to the perfect night. 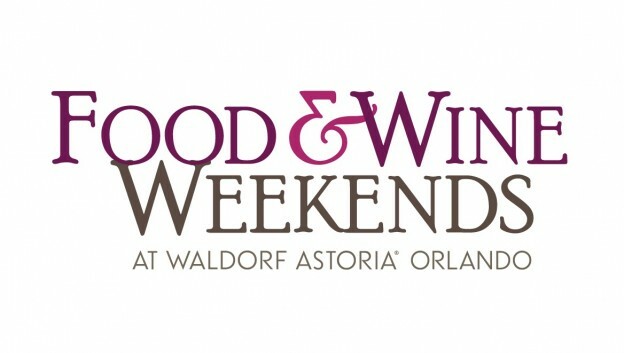 Food and Wine Weekends at Waldorf Astoria Orlando and Hilton Orlando Bonnet Creek were designed to experience the artistry of fine culinary preparation for an evening or weekend. Click here to check out all other amazing Food and Wine Experiences at Waldorf Astoria Orlando and Hilton Bonnet Creek. Did someone say Chocolate and Champagne Tasting? Macaron Bar? Sushi Pairing? Yes, yes and yes!